If you were disappointed that Malta’s iconic rubble walls did not make it to a Unesco list of intangible cultural heritage, you can still nominate them to join prospective contenders ftira, għana, brilli, lace and gold embroidery. The United Nations cultural agency announced last week the art of dry-stone walling, knowledge and techniques in Croatia, Cyprus, France, Greece, Italy, Slovenia, Spain and Switzerland had made it to the Representative List of the Intangible Cultural Heritage of Humanity. Despite rubble walls being a common feature across Malta and Gozo, the country did not make it to the list, disgruntling some locals. Asked whether Malta had applied to be included in the list, a Culture Ministry spokesman said it was the community, not the government, that must submit nominations. He noted that during a Unesco intergovernmental meeting held in Mauritius last week, several nominations were rejected because not enough proof was produced to show that the community was involved in nominations. 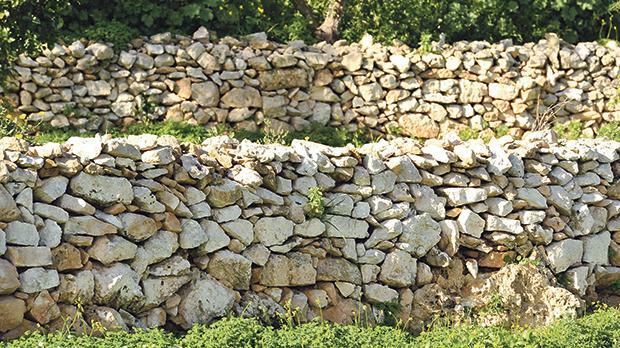 “So far, no one in Malta has come forward to nominate the art of dry-stone walls. We take this opportunity to encourage readers who have knowledge about this element, which is part of our cultural heritage, to come forward and contact the Culture Directorate to nominate it on the national inventory,” the spokesman said. The inventory, drawn up in July, is the first step towards nominating an inscription on the Unesco representative list. It is accessible on ichmalta.org and those interested can send an e-mail to ich.malta@gov.mt. So far, five local elements have been enlisted: the making of the ftira Maltija (flat Maltese loaf), bizzilla (Maltese lace making), għana (traditional folk singing), brilli (a Gozitan game) and gold embroidery. The spokesman said a nomination to Unesco was likely to take about 18 months to be examined by the selection committee. Malta ratified the 2003 Unesco Convention on Safeguarding Intangible Cultural Heritage in 2017, when Croatia, Cyprus, France, Greece, Italy, Slovenia, Spain and Switzerland had already submitted their nominations.